Originally from Chopwell in Tyne and Wear, the inside-forward began his career locally with Spen Black & White before being given an opportunity to make the grade in the Football League by Bury in 1930. In a four-year stay at Gigg Lane he played exactly a century of matches and scored 31 goals. 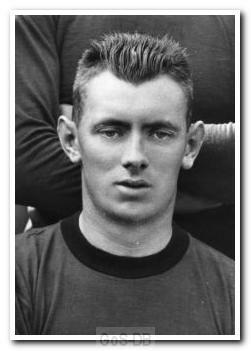 It was from Lancashire that he moved to Home Park under Robert Jack, spending two seasons at the club before returning to the north of England when he signed for Sheffield United in 1937. Remaining at Bramall Lane until the outbreak of war, he made 24 appearances and scored twice. At the age of 29 when the Second World War started, the duration of hostilities spelt the end of his Football League career.